NOTE: These statistics have been gathered from various sources, therefore original source of data or date published may not be available. 95% of divorces are caused by a "lack of communication"
The average working person spends less than 2 minutes per day in meaningful communication with their spouse or "significant other" and less than 30 seconds a day in meaningful communication with their children. One in eight telephone calls get repeated because something was forgotten. According to an article in the Fall 2006 issue of The Facilitator newsletter, using a skilled facilitator increase the productivity of a project by 25%. 49% of participants considered unfocused meetings & projects as the biggest workplace time waster and the primary reason for unproductive workdays. It takes less than eight seconds for an idea, suggestion, or proposal to be criticized. According to the article "Meeting Rooms of the Future" in Group Computing Magazine, Sept/Oct 1998, then number of team meetings involving remote participation have increased from 5% to 25% over 10 years. Koontz said "Most managers spend up to 10 hours a week in meetings, and 90% say more than half that time is wasted." Research conducted by the Annenberg School of Communications at UCLA and the University of Minnesota’s Training & Development Research Center show that executives on average spend 40-50% of their working hours in meetings. The studies also point out that as much as 50% of meeting time is unproductive and that up to 25% is spent discussing irrelevant issues. 63% of the time, typical meetings in America do not have prepared agendas. Communispond, Inc., a New York consulting firm, conducted a poll of 471 management leaders and found that well over one-half of the respondents to their survey considered many meetings to be a "waste of time." 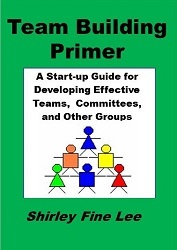 Some 90 percent attributed the failure of most meetings to a "lack of advanced planning and organization," and over three-fourths of those surveyed indicated that they received no formal training on how to conduct a meeting. According to a University of Arizona teamwork study, there are more than 11 million formal meetings per day in the United States - more than three billion meetings per year. Managers spend about 20% of their time in formal meetings of 5 people or more. A meeting between several managers or executives may cost upwards of $1000 per hour in salary costs alone. A Fortune 50 company estimates losses in excess of $75 million per year due to poor meetings. In a 2001 Tulsa University paper, studies showed that meetings are essential and that the number of meetings and their duration has been steadily increasing. Studies of managers and knowledge workers reveal that they spend between 25%-80% of their time in meetings, suggesting that meetings are an important part of one's working life. Estimates of meeting expenses range from costs of $30 million to over 100 million per year to losses between $54 million and 3.7 billion annually! Self estimates of meeting productivity by managers in many different functional areas range from 33%-47%. A Microsoft Office survey including respondents worldwide showed say they feel unproductive for as much as a third of their workweek. Internationally the top three time wasters, according to survey participants, were ineffective meetings, unclear objectives and lack of team communication. In the U.S.A, 42% cited procrastination, 39% picked lack of team communication and 35% chose ineffective meetings among the top time wasters. A nationwide survey developed by Office Team, a staffing service specializing in skilled administrative professionals finds that "runaway" meetings are the biggest time waster in the workplace. More than 27 percent of workers polled said meetings are the largest reason for inefficiency and lack of productivity. Industry Week called meetings "the Great White Collar Crime" estimating they waste 37 billion dollars a year. A Wall Street Journal article suggested that following a detailed agenda and starting on time would reduce the time managers spend in meetings by 80 percent. According to a survey by MCI Conferencing, most professionals who meet on a regular basis admit that they do the following: daydream 91%, miss meetings 96%, miss parts of meetings 95%, bring other work to meetings 73%. According to the National Statistics Council, an average of 37% of employee time is spent in meetings. During an average meeting, agenda items are covered in only 53% of the scheduled time, with the remaining time as unproductive. Executives average 23 hours per week in meetings where 7.8 hours of the 23 are unnecessary and poorly run, which is 2.3 months per year wasted. 80% of "Crisis Management" events are preventable. The Innovator Newsletter reported a benchmarking study that concluded innovation & creativity, teamwork, customer service, problem solving, adaptive skills, shared leadership, and communication were the top ten competencies necessary for success over the next five years. The average person makes over 5,000 decisions in a typical day. Study indicated if a project is 15% complete and problems occur, project will stay in trouble through completion. 70% of projects fail to deliver the benefits anticipated at the outset. A 1998 Information Technology project survey of 203 participants indicated the following reasons for failure: 75% deadlines missed, 55% budget exceeded, 40% poor communications, 37% unmet project requirements. The same survey indicated the following as project success factors: 51% meet milestones, 32% maintain quality levels, 31% meet budget. The "20/80 Rule" tells us we will typically accomplish 80% of our results through 20% of our effort. The other 20% of additional results comes from about 80% of additional effort. No one is truly available to a project 100%. Most can get up to 80% availability from people tied to their workstations, such as factory workers. For knowledge workers highest availability would be 50% - 60%. A project tends to expand with the time allocated for it." If you give yourself one thing to do, it will take all day. If you give yourself two things to do, you get them both done. If you give yourself a dozen things to do, you may not get 12 done, but you’ll get 7 or 8 completed. Over 90% of project failures are due to poor planning. In most of the cases, poor software implementation is due to bad or poorly articulated requirements. According to the Standish Group, a research firm, 31% of software projects are cancelled before ever reaching the customers while 53% cost 189% or more of their original budgets. Many experts believe that 40-60 percent of software defects and failures are attributed to bad requirements. Post-implementation reviews of most information systems projects typically show that 60-75% of all defects encountered during a project, and embedded in the finished systems products, are defects in requirements. Research by the Center for Creative Leadership has found that the primary causes of derailment in executives involve deficits in emotional competence. The three primary ones are difficulty in handling change, not being able to work well in a team, and poor interpersonal relations. After supervisors in a manufacturing plant received training in emotional competencies such as how to listen better and help employees resolve problems on their own, lost-time accidents were reduced by 50 percent, formal grievances were reduced from an average of 15 per year to 3 per year, and the plant exceeded productivity goals by $250,000 (Pesuric & Byham, 1996). Fortune 500 companies that use Six Thinking Hats report that their teams are more productive and now invest 50% less time in meetings. They refer to their teams as healthier and happier. A study, performed by the Human Resources Planning Society, of 100 Fortune 500 companies with teams, found that 80% of their respondents had trouble evaluating the team's work (Eisman, 1995). Research by Shaw and Schneier (1995) showed companies struggle with how to measure and reward team performance, two essential components of team success, and that few companies are actually satisfied with their methods. In a study surveying 88 companies with teams, researchers found that most companies lacked effective rewards, individual and team performance feedback mechanisms, project management skills, and individual and team goal-setting skills (Tippett & Peters, 1995). Lawler, Mohrman, and Ledford (1995) reported use of self-managed work teams and problem-solving groups three times over a 6-year interval (i.e., 1987, 1990, and 1993).Their findings indicate both types of teams in the Fortune 1000 rose steadily during the period in question. The use of problem-solving groups increased from 74% in 1987 to 84% in 1990, and 91% in 1993. The use of self-managed work teams rose from 27% in 1987, to 47% in 1990, and then to 68% in 1993. 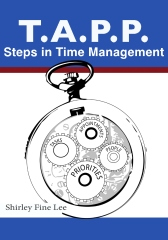 10-12 minutes invested in planning your day will save at least 2 hours of wasted time and effort throughout the day - from "Eat the Frog" by Brian Tracy. The average person gets 1 interruption every 8 minutes, or approximately 7 an hour, or 50-60 per day. The average interruption takes 5 minutes, totaling about 50% of the average workday. 80% of those interruptions are typically rated as "little value" or "no value" creating approximately 3 hours of wasted time per day. A manager on average spends 3 hours each day on interruptions. Reducing staff members wasted time by just five minutes every hour would increase productivity 8.3%. When an interruption occurs, it takes 10 to 15 minutes to get back on track with train of thought afterwards. Therefore 4 interruptions in a day can mean the loss of an hour in concentration. 20% of the average workday is spent on "crucial" and "important" things, while 80% of the average workday is spent on things that have "little value" or "no value". 70% of business and professional people use a "to do" list on a regular basis to administer their "have to’s". The average time allotted to respond to data gathering requests are: to meet or talk is 1 hour, for response to memo or email is 10 minutes, for preparing a report or memo an evening or weekend is typically given up. This willingness to respond does not necessarily add value, although it most likely will increase the number of requests the responder will get in the future..
5% of business and professional people use a "to do" list on a regular basis to administer not only their "have to’s", but also their "want to’s". Boston Market Survey on lunch times says 37% of Americans take less than 15 mins. However 79% said they were more productive after a food lunch and 60% said they were more positive about work after a good lunch. A productivity consultant said "On any given day, an executive can expect to be interrupted 150 to 300 times a day, not counting e-mails"
Studies show we lose an average of 1 -2 hours per day searching for missing items in messy files, closets and stacks. Americans spend 50 - 70 % of work hours on paperwork. Buying duplicate or last minute supplies due to disorganization can cost a business up to 20% of annual purchasing budget. Americans waste 9 million hours per day searching for lost or misplaced items. Wall Street Journal reported that the average executive loses 6 weeks per year searching for missing information in messy desks and files (almost 1 hour per day per person). Filing cabinets and drawers should have at least 39 inches of clearance space in front of them in order to open completely. The average office takes 3 days to organize. Cleaning professionals state that getting rid of clutter could cut cleaning time as much as 40%. The minimum suggested size for a desk is 59 inches wide by 33 inches deep. 75-85 % of filed documents are never looked at again. A person who works with a "messy" or cluttered desk spends, on average, 1 1/2 hours per day looking for things or being distracted by things or approximately 7 1/2 per workweek. Per Julie Morgenstern in "Organizing from the Inside Out", it takes approximately 24 hours to organize the average job office, up to 30 hours to organize a home office, 22 hours for a work cubicle, and potentially 7 hours for a mobile office. Once the office is organized, maintenance of these offices should take only 10-15 minutes per day. 43% of people find it difficult to delegate. In a consumer survey, 78% of customers who experienced a problem with a product or service reported feeling customer rage. 87% of those upset customers reported that they told family and friends while nearly 60% decided never to do business with that company again. It takes between 21 to 30 days to establish a new habit. National Sleep Council report shows 36 Million Americans report sleep problems (often due to job stress, increased workload, and competition), These problems cost American business $18 billion annually due to lack of productivity. This year (2004), more than 50% of all business travelers will be women. In a large beverage firm, division leaders with emotional intelligence competencies (such as initiative and self-confidence) outperformed their targets by 15 to 20 percent. Those who lacked them under-performed by almost 20% (McClelland, 1999). 93% of women travelers use the internet while on-the-road. Fortune Magazine found that workplace learning was a common thread in the "100 Best Companies to Work For". The Consortium for Research on Workplace Intelligence recently concluded that emotional intelligence (collaboration, listening, flexibility, feedback, receptivity, etc.) contribute more toward workplace achievement than technical skills and cognitive ability combined. Information in short-term memory will start to disappear after 20 seconds, if not repeated. 80% of people hired are hired for their competencies. Whereas 85% of people terminated are because of their lack of leadership or people skills. Of employees studied, 25% say they are fully engaged at work and 19% say they are actively disengaged. 95% of the books in this country are purchased by 5% of the population. 95% of self- improvement books, audio tapes, and video tapes purchased are not used. The American worker: 78% wish they had more time to "smell the roses", 49% complain that they are on a treadmill, 70% desire to own their own business, 75% complain that they are tired. 1 out of 3 workers changes jobs every year. 1 out of 5 people moves every year. The Society of Human Resources Management & Bureau of Labor Statistics estimates costs for turnover range from 33% to 150% of base salary. For a midsized company of 1,000 employees with an average base salary $50K and with an annual turnover rate of 10%, the cost is $1.7 million to $7.5 million. CFO Research Services and Mercer Human Resource Consulting survey - Fall 2002 reports that on average, companies spend 36% of their revenues on human capital expenses. Only 32% of managers receive management skills training. 72% of managers say they're never trained to interview. 86% of managers say they hire people they like rather than what the job requires. Replacement costs for one employee will run between 30%-150% of the annual salary for BOTH hourly and salaried workers. U.S. nationwide has a turnover rate of 12%. More than $56 billion is spent by U.S. companies on training programs and services. According to a study by The Wharton School, stakes are high as reducing customer attrition by 5 to 10 percent can increase annual profits as much as 75%. A typical business hears from about 4% of its dissatisfied customers, while 96% just go away and 91% will never come back. It takes 12 positive customer service interactions to make up for one negative interaction. HR studies indicate that 65% of an employee's motivation and morale level comes directly from the leadership style of their direct boss. 85% of people who leave their jobs leave because of perceived "unkindness" in the workplace.